Five years ago I received troubling news that threw me out of balance for a few days. One of the people I had looked up to, one of the people I had learned a lot from was found guilty of some serious issue. Regardless of who that person was or what the grave acts he committed were, I am sure many of you faced something similar. You trust a person, respect them and expect them to maintain certain standards, only to find out you have put your trust in the wrong place. People vary in their response to such an experience. Some generalize the feeling and start doubting everyone’s integrity, seeing the world as a place full of evil where no one is worthy of our trust. Others understand that life offers a wide variety of experiences, some of which are pleasant, others are not. The problem gets worse when it comes to religious role models. Imams, scholars, da’ees, teachers, mentors, and sometimes our respected elderly could fail us the most when we least expect them to do so. The consequences could range from personal disappointment to taking up an attitude averse to Islam and Muslims altogether, or at least practicing Muslims; and here where my issue of concern lies. Muslim, especially the youth, look for a religious figure to take as a role model. An exemplary who inspires them, paves the way for them by his/her example, and offers them what they believe to be a human manifestation of the teachings of Islam. This is a human need and a practical necessity. I can’t stress the importance of having a role model and a mentor any more. The problem lies however in the fact that we often become over attached to our role models, develop a state of dependency on them that we tacitly believe they are superhuman who can solve any problem and who themselves are immune to sin and misbehavior. Often they become the main source of our understanding and practice of Islam to the extent that the difference between them and Islam itself dissolves in our minds until we equate them with Islam. Most of this takes place at a subconscious level that we may even deny it if someone opens our eyes to the reality of the issue. Before you carry on reading this article, take a moment to name the people you consider to be your role models. They could be locals or individuals from overseas. Then imagine that person is found guilty of something abhorrent, something nasty and unethical. How would you feel towards them? Do you feel a tendency to dissociate yourself from them? Do you feel you just want to be a normal Muslim and want nothing to do with those practicing folks? This is just an experiment, and when something like this happens in reality it could shake some people’s belief in Allah; it actually happens a lot. I understand that some will argue that we have the Prophet (PBUH) as our role model. I totally agree and encourage people to learn about his life and example from authentic sources as much as they can. However, the fact that we can’t see the Prophet (PBUH) in person and observe how he handles affairs places a limit on the extent to which we benefit our knowledge of him (PBUH). To deny this limitation is an obvious absurdity. Biographies of Muslim scholars and personalities all attest to the need of having a living role model to learn from. We learn from someone by mixing with them far more than we learn from them by reading about them. People of knowledge and righteousness are supposed to embody as much of the example of the Prophet (PBUH) as possible, but their efforts are still a human effort to probe his noble example (PBUH). Sometimes the person we choose as our role model is good at some things, but not at others. In other words, he/she has a serious weakness in some area of their character. Should we just ignore them altogether, or take their example as a whole? What I mentioned above are issue of great concern to many Muslims and have tremendous consequences. I myself struggled with this for a while, but decided to put in a lot of effort to find a good solution. Below I share my role model strategy and it has helped me overcome many disappointments. First, everyone needs role models in their lives. The moment you think you can understand the religion on your own, you have set yourself on the path to destruction. We learn by example far more than we learn from books, lectures, and other learning tools. So having good role models is indispensable. Second, you should choose your role models in light of your major goals in life. Find someone who has been through the path you are about to take; you can learn a great deal from them and save yourself years of trial and error. 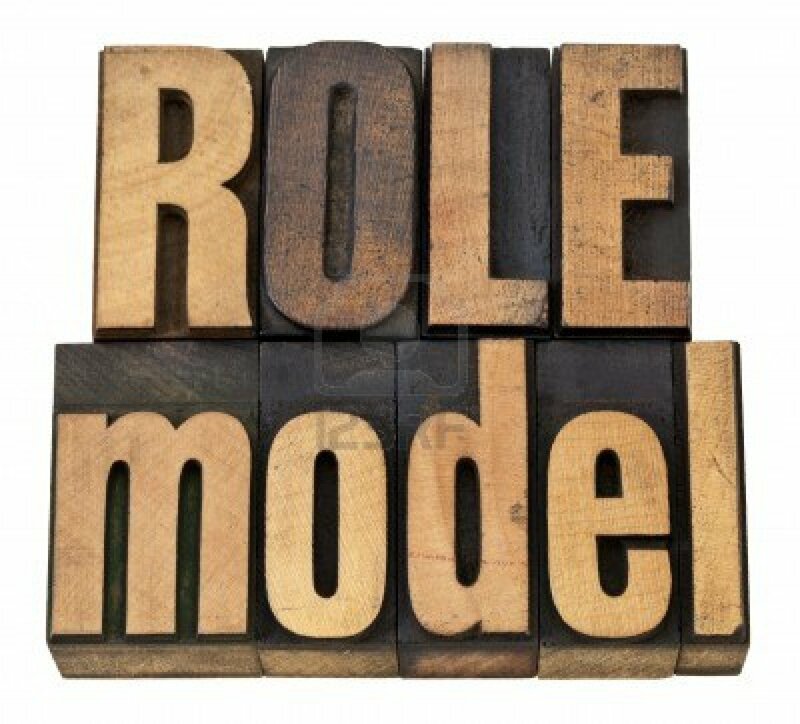 It is possible a person is an excellent example but he/she is not the right role model for you. They may have taken a different path, or maybe their character is sharply different to yours and following their example will only distance you from who you really are. This takes me to the third advice. Third, take account of your personality, personal traits, and way of being as you look for a role model. Some role models have an aggressive attitude; this is how they are, this is how Allah created them. If you are naturally a soft person and take an aggressive role model you might end up like the crow who wanted to mimic pigeon. Some people have a high level of self-awareness that they can choose a role model who is not compatible with their personality as they have developed a meticulous ability to maintain their original personality and still learn from people sharply different to them at the same time. There are no absolute rules in this field; there are personal differences that could reverse any rule. What I am providing here are guidelines and lessons that I found useful. Fourth, I found it useful to choose multiple role models rather than one. So I would pick a person I admire in terms of character and take them as a role model only in that area. And I would pick another person to take as an example in studying and learning because they have showed a high level of mastery in that area. And so on and so forth. So I have created a set of role models for myself and I learn from each one what they are good at, and I recognize each of them may have serious flows in other areas. I have grown content with the fact that humans will always be human, and a person who is so great could sometimes act foolishly. I created a map (a web if you like) of role models and I have rich examples to learn from. The web of exemplary role models holds itself together when one of them stumbles. Thus, I have created a shield against feeling deeply disappointed when someone I respect and look up to makes the worst mistake in their life. Fifth, Keep your web of role models in check by weighing them against the teachings of the Quran and authentic Sunnah. The example of the Prophet (PBUH) is the ultimate role model, and an exemplary that contradicts the Prophet’s example should not be maintained. I hope you will find these points beneficial, and if you have an experience of this sort feel free to share it in the comments below and tell us how you dealt with it. Peace! 2 Responses on The Dilemma of Finding a Role Model"
JazakAllah khair sheikh ! Alhamdulillah I really appreciate and benefit a lot from your posts which deals with practical aspects of life for an average muslim like me..and this one was a much needed one for me…. I believe that those muslims who have taken only one imaam or shaikh as their role model should reflect on what you have written. Instead of accepting that their imaam can err in islamic fiqh or aqeedah matters, they are adamant in maintaining the infailliblity of their imaam. The problem still remains up to today. I believe that one’s effort to pursue the truth instead of looking for role models is the solution since as I found the truth, I came to know who hold/s the truth with them. Any shortcoming of the role model who has the truth with him will affect the follower, but not to the extent of doubting the truth of islaam since what he loves the most is the truth due to the sake of Allah which permeates everything much more than his love for his shaikh. I have not experienced an open serious mistake from my present shaikh till now, but in the past I have seen how my role models who were not on the correct manhaj changed their belief system or manhaj. I have gone through stages in my life from one sect to the other until finally ending up with the true jammat by the permission of Allah. When I look back, I do not feel disappointed as I know deep in my heart that I yearned only that Allah, the most High. guide me to the saved sect.